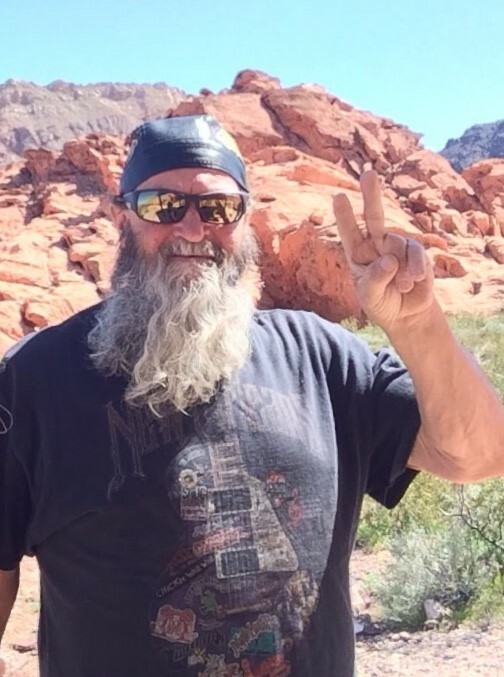 Bruce Allen Hanson, 67, formerly of Hermantown passed away unexpectedly on Sunday April 7, 2019 at Lake Mead in Nevada. He was born March 17, 1952 to Hank and Arlene Hanson. Bruce attended Central High School and retired from the Laborer’s Local #1091. He spent the last 7 years RVing the country, spending winters in warmer climates. He enjoyed riding his Harley and jamming to tunes around the camp fire. The tunes were always cranked on when Bruce was around. He was preceded in death by a son Hunter, his father Hank Hanson, mother Arlene (John) Sorlie, brothers Don & Gary, and his sunshine Dorothy (Walter) Elmquist. He is survived by his wife Joanne (Elmquist) Hanson, daughter Laura, son Zac (Amna) and grandchildren Ashley, Gage, Brylie, Nolan, Colette, and baby girl due in June, brothers Rick (Cyndi) Hanson and Brian (Holly) Sorlie. Come join us in celebration of Bruce on Saturday April 27, from 2:00 - 6:00 at the Aad Shrine Meeting & Event Center, 5152 Miller Trunk Hwy, Hermantown, 55811. There's still time to send flowers to the Gathering of Family and Friends at the Aad Shrine Meeting & Event Center from 2:00 PM to 6:00 PM on April 27, 2019.